Apocalypse, exile, survival, return, rebellion: Niuafo'ou is a tiny island, but its modern history has the scope and drama of an epic. 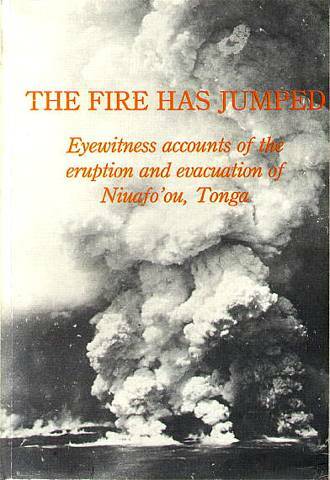 Garth Rogers and Wendy Pond's classic book The Fire Has Jumped combines interviews with Niuafo'ouans who were forced by Tongan colonial administrators to leave their island when it exploded in 1946 and later struggled for the right to return with a selection of texts by Kitione Mamata, a songwriter who protested slyly against the marginalisation and impoverishment of the islanders. Uing archaeology and oral history, Pond and Rogers also show that the Niuafo'ouans had a unique, non-Tongic language and culture, and enjoyed centuries of political independence that were intermittently interrupted and finally ended by Tongan conquest. The Fire Has Jumped was published a quarter of a century ago, and has been out of print for many years. Luckily, this masterpiece of democratic scholarship has now turned up online. 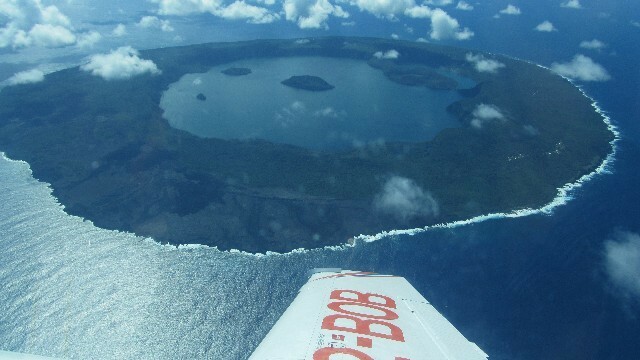 Pond and Rogers both wrote massive academic studies of Niuafo'ou and its neighbour Niuatoputapu which have been placed on the internet by Victoria University and the University of Auckland respectively. If that were not enough reason to be excited, the remarkable Japanese linguist Tsukamato Akihisa's study of the Niuafo'ouan language has also been uploaded to the internet by the librarians of the Australian National University. When I talked with Akihisa in Nuku'alofa in 2013, he told me that only a few elderly people on Niuafo'ou spoke the pure version of the island's language, though many more spoke a Niuan-Tongan pidgin. Like Maori, the language had been neglected for many years by hostile governments, and mocked by non-speakers. I've recently met a number of Niuafo'ouan Aucklanders trying to relearn their homeland's language and recover its history, and it is exciting to see so much research into the island going online, and thus becoming much more widely available. I wrote a little about the thousands of Niuafo'ouans still living in exile in the far south of Tonga here.